It is our mission to learn, carry out and comply with the philosophies, concepts and practices instilled by the U.S Green Building Council and LEED Requirements. 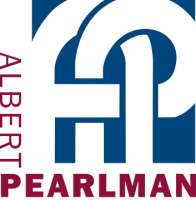 Pearlman will work hand-in-hand with LEED consultants and the entire Project Team to secure that all proper LEED requirements are met and documentation is processed and submitted to allow for a timely final submission for LEED certification. We have successful experience with both LEED Gold and LEED Silver projects in which our team worked cohesively with the Client’s to keep them up to date on the LEED certification process. We view all of our projects as an opportunity to work towards a greener future and an improved environment. We look forward to the opportunity to work together with your Project Team to accomplish this honorable LEED certification.